Sneak-a-Peak - With great snow falling in Canada, Kicking Horse is planning a surprise preview weekend Dec 7/8. Full opening is scheduled for Dec 13. See my article on The Horse in Canada section. 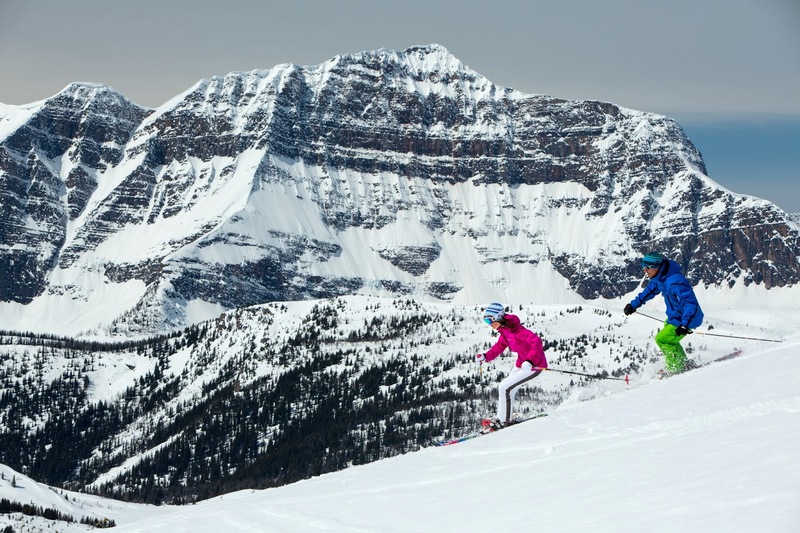 Free skiing, free accommodation, free rentals and free food from Dec 20-25 - sounds like a challenge for Santa. But it will be a reality this year for kids whose parents book Aspen/Snowmass during the Black Friday through Cyber Monday deal over Thanksgiving weekend. 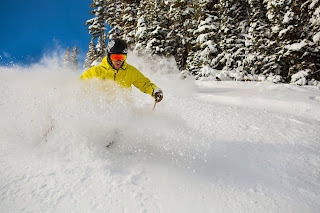 Kids ski, stay, rent and eat for free with a paying adult who books the package before midnight Dec 2: http://www.stayaspensnowmass.com/perfect-holiday?num800=800.290.1326. 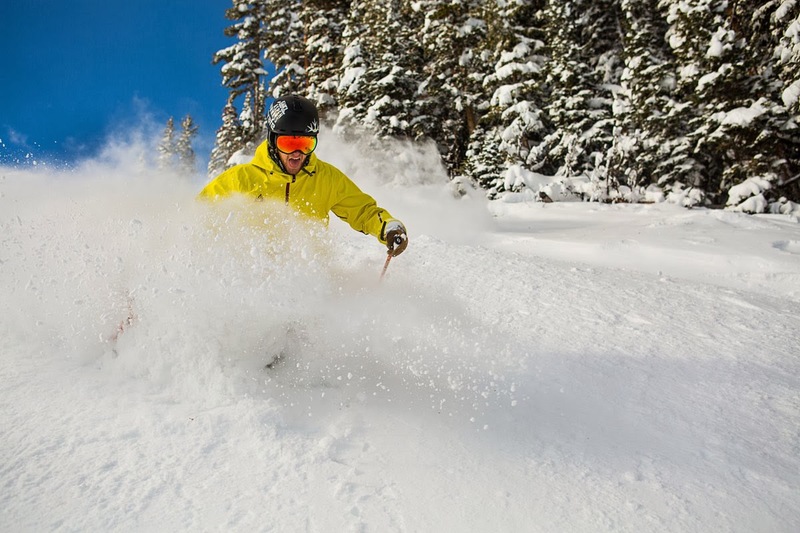 A ski pass for all the Vail Resorts for the rest of your life would be a dream come true for every Colorado wintersports fan. 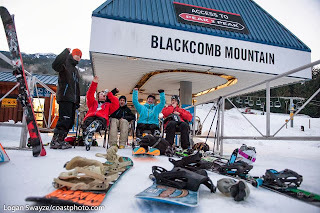 And, for ten tenacious skiers and snowboarders this could be a reality. 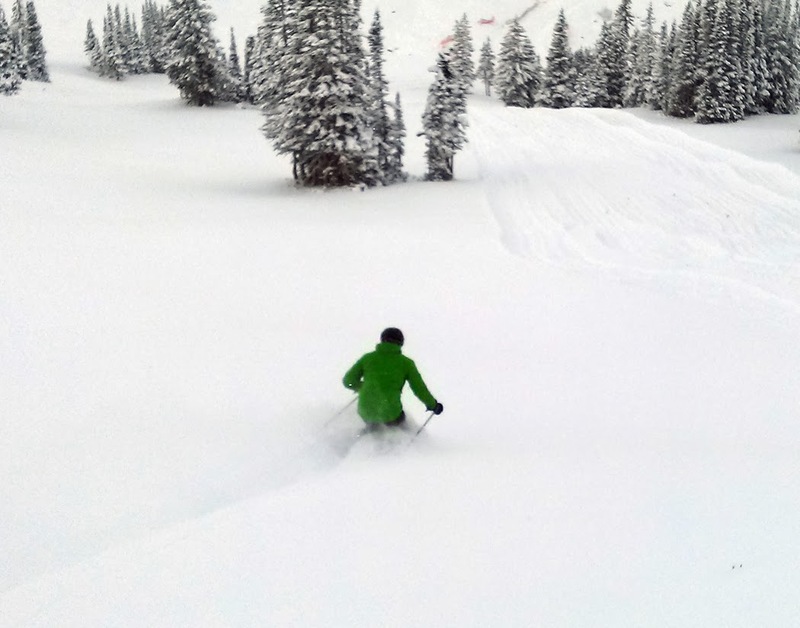 The first ten contestants in the Epic Ski Race to notch up all 26 ski resorts under the Vail Resorts banner will win lifetime passes. Not an easy feat as the ski hills span four countries and two continents: Colorado, Utah, Lake Tahoe, Minnesota and Michigan in the USA and resorts in Switzerland, France and Austria. son teams from Park City, UT and Louisville, CO, who want to spend serious bonding time over their shared passion. There's also a Guiness record holder who has run for US President; a family who love skiing so much they used Vail for their daughter’s middle name; an airline pilot from Atlanta, GA who, at 47, is out to prove that older guys have still got it by doing a board slide in the terrain park of every mountain; a couple from Lake Tahoe who got engaged at Heavenly and will use the race as the honeymoon they never took; and a plucky woman from New Jersey who is using the Epic Race to get to know a potential "Mr. Right". 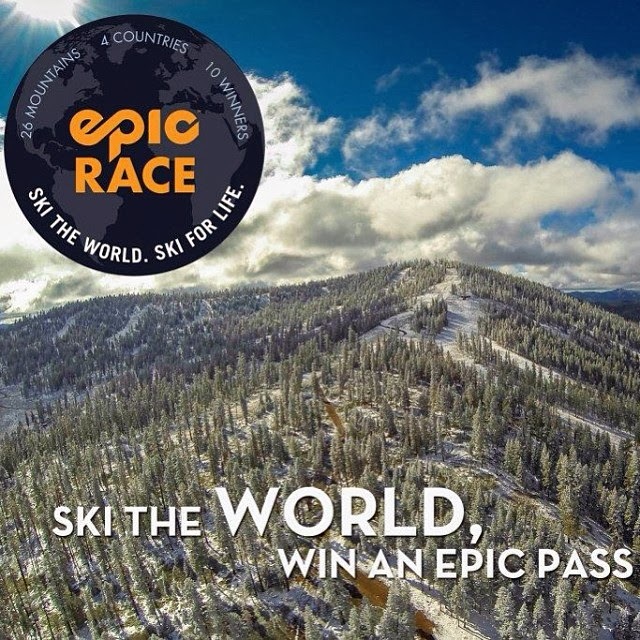 You can follow the progress of #EpicRace on Twitter, Facebook, YouTube and at www.epicrace.epicpass.com. 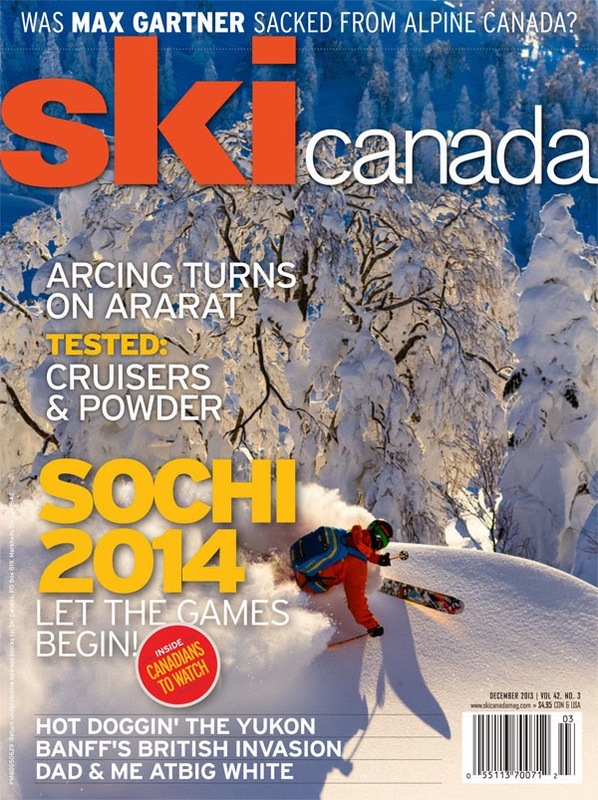 TO DO LIST: Buy Ski Canada Magazine on newstands from Monday December 2 to read my debut article in there!! Vol. 42 Issue 3 out December 2 - including my story on "The British Invasion"
How do you feel when the best assignment of your year literally falls onto your desktop? Jubilant, terrified, awed and excited beyond belief! This was me a few months ago when I was asked to write an article for hallowed editor, Iain MacMillan. His glossy magazine, Ski Canada, is the highest profile dedicated ski publication in Canada and seems to get bigger while other mags fold. 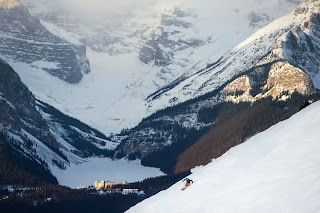 The story he commissioned was a Brits’ eye view of Banff Lake Louise, my home ski area. As a Brit myself, I had a heads up on what the average British skier thinks of Alberta’s Big 3 but it was still fascinating to get very varied viewpoints from a hodge podge of fellow countrymen who ski, live or work there. The story took me 50 hours to perfect and I loved every minute! I almost self-combusted waiting to hear if it had made the grade. It did! 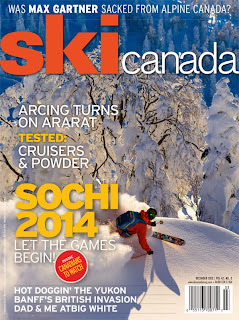 MacMillan – known by those who dare as Mac - has been the enthusiastic editor of Ski Canada since 1995. 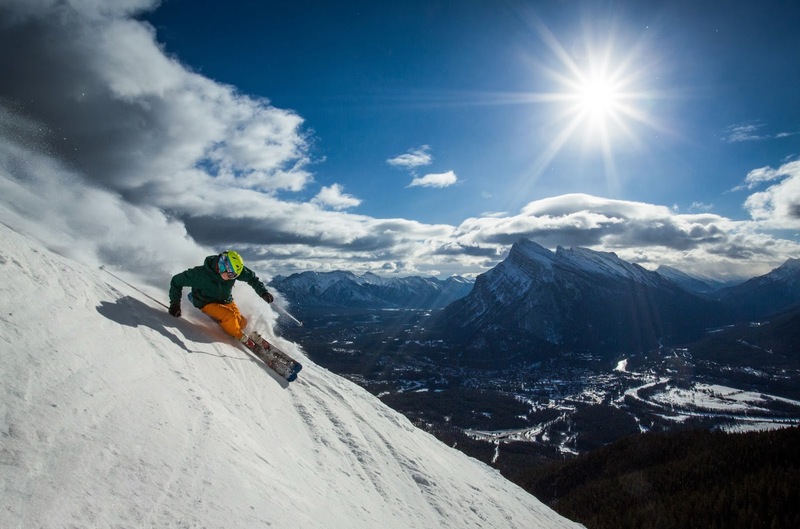 As well as vetting articles and equipment guides, Mac writes ski epics himself both for Ski Canada and other publications such as Canada’s Globe and Mail. 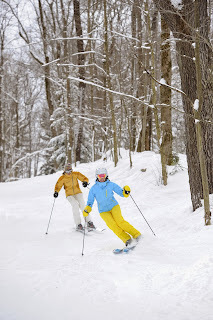 Valleyhttp://www.holidayvalley.comon wintry weekends. Each season he notches up around 40 or 45 days on snow: “half in the east here and half in the real mountains”. Having skied in dozens of top destinations, he still has a burgeoning bucket list including Armenia, Georgia, Norway, Morocco, New Zealand and Alaska. After 18 years on the job, he remains as motivated as those days in diapers: “There are so many untold stories the file is always overflowing; I just wish we had more pages to tell them!” I know what he means: for me, reading a new issue of Ski Canada is like hanging out in a vibrant après ski bar with dedicated skiers full of tantalizing tales and anecdotes straight off the slopes. 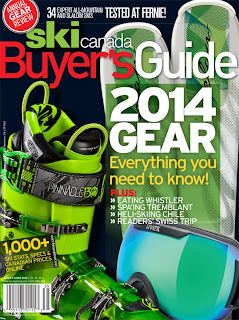 Based from Toronto, Ski Canada magazine publishes an annual gear guide, results from its alpine ski tests, reviews of international ski areas, features and ski tuition tips from a pool of 100-plus professional writers and photographers – now including me! Issue 3 Vol. 42– including my colonial contribution - is available to subscribers next week and on newsstands from Dec 2. It also features an equipment powder test at Mike Wiegele’s Helicopter Skiing as well as improvement tactics from Whistler’s Extremely Canadian coaches. 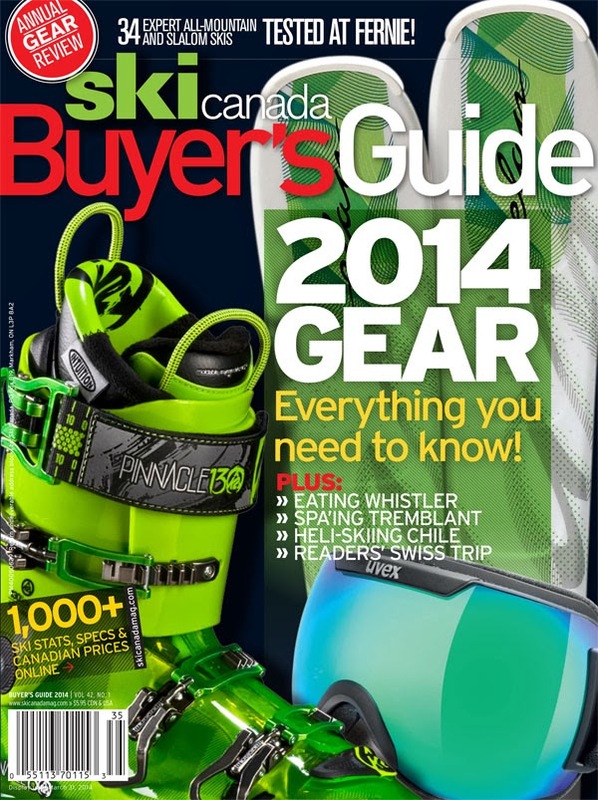 VailResorts, Quebec and the Yukon are also highlighted in what is, to many, the skier’s Bible.